﻿ Dumfries ruins and historical site with map of interesting places. Dumfries ruins and historical site with map of interesting places. See all archeological places and where the ruins are located in Dumfries on Carriacou. Old factory and remains of plantations from the colonial era. 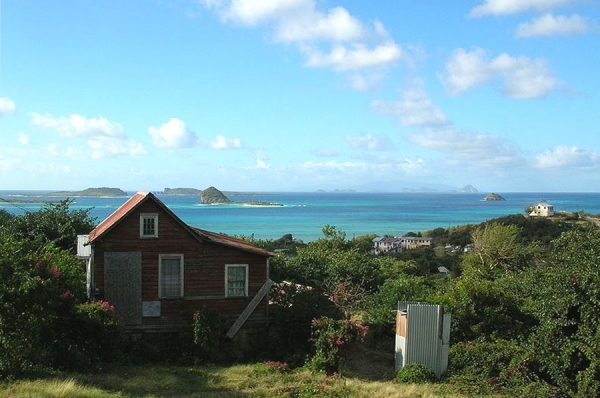 Guides » Historical site of Dumfries on Carriacou. Dumfries Historical site and ruins. 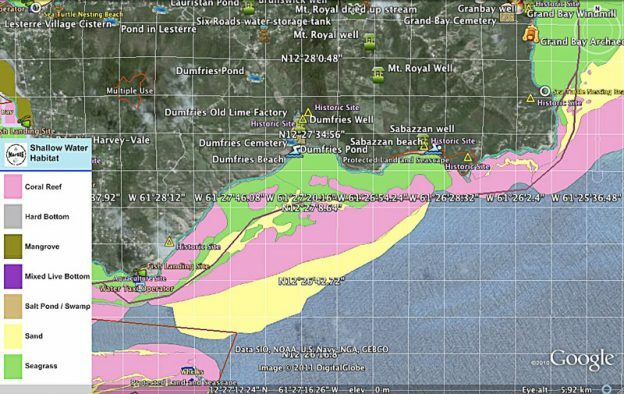 Location of the Dumfries findings on an interactive map of Carriacou. Here you will find plantation ruins with some old equipment. See the old machinery that was used in processing cotton and limes. Below you will see the picture of a stone chimney, which is the most visual ruin. On the map below you can locate several places of interest. These include the old Sabazan Well and ruins of the Lime factory. Map of Dumfries and the points worth to see. Chimney of the old lime factory. 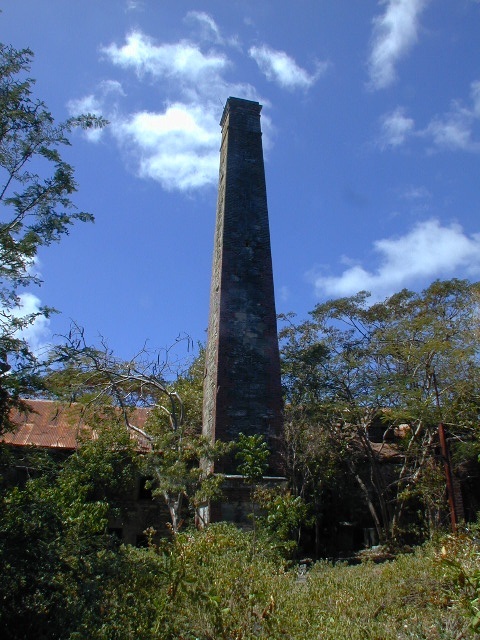 Chimney from an old lime factory on Carriacou. 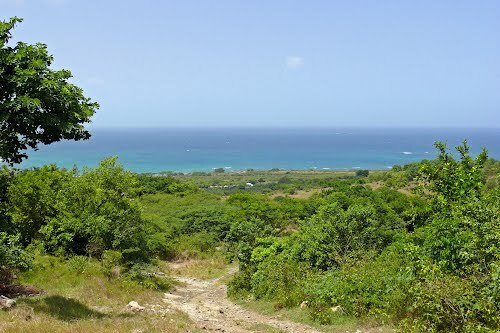 Taking a hike on Carriacou towards the Dumfries historical site. The picture below was taken from up the hill in Belmont. On the background you see White Island. The historical site is to the left below. On the right hand side is the Cassada Bay complex, now a derelict hotel. This picture was taken from Belmont, north of Dumfries. The Jetty at Cassada Bay. at 0.83 km. Cassada Bay picture taken from White Island. at 0.94 km. Previous: The Grenadines islands – From St. Vincent down to Carriacou. Next: Carriacou and Grenada dive sites and diving centres.